Curtains are an important home decor item and adds style to your home ambience. But more importantly than that, curtains have so many other important benefits that make them a mandatory item in our home. From adding beauty to our home decor to keeping dust out, they also help in keeping our indoors comfortable in different climates. Climate in Melbourne is very unpredictable and ranges from very dry and hot in summers to very cold in winters. In autumns, the weather remains cool and sunny and in springs it can alter between sunny to windy any time. So, in order to cope up with these different shades of weather, we try our best to make our indoors cool in summers and warm in winters. Clean and great looking curtains are the need of every household. Professional Curtain Cleaning Company Melbourne does excellent job in maintaining the curtains and making them look fresh, clean and lively. When it comes to making your home cozy and comfortable in Melbourne in extreme summers or chilling winters, curtains play an important role. In summers, when the outside temperatures are soaring high, we depend highly on air conditioners and other electrical appliances to make our indoors cool and comfortable. In addition to this, we can use curtains to add a lot of benefit in this situation. Light summer colors like white, light blues and pinks and other lighter and cooler shades impart a cooling and calming effect and help to keep the indoors much cooler. 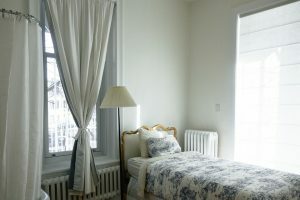 Normally cotton curtains that are single lined or double lined are beneficial. They impart such a cooling and calm effect that you feel so relaxed and cool. Curtains help to block too much light and keep the indoors cool. Sheer curtains look extremely beautiful and they easily regulate sunlight into your room. They not only impart beauty to your home decor but also allow as much light as you want. On the other hand in winters, double lined curtains and bright colors do wonders and keep away the cold. It is best to draw the curtains before it gets dark to keep the home cozy. The curtains also keep away the cool chilling wind that flows through Melbourne. Curtains are an all year round thing and obviously they accumulate a lot of dust and bear stains during that time. The accumulated dust can cause allergies in family members. The stains and dust make the curtains look old and dull. Therefore it is very important to clean them at regular intervals. However, curtain cleaning is not the same as cleaning any other piece of clothing and it takes to have the knowledge about the fabric to avoid damage and color discoloration. If we are considering washing at home, it is best to hand wash. Machine wash should only be considered if the curtain has a label bearing clear instructions. This applies to light weight curtains that are easy to manage. If however, your curtains are heavy or double lined or very delicate, it’s highly recommended to get them cleaned by a professional curtain cleaning company in Melbourne. A reputed and professional curtain cleaning company knows exactly how to deal with the fabric of the curtain to avoid risk of fabric damage and color discoloration. Curtains lend a touch of style and grace to our home decor and at the same time help in maintaining our privacy. Clean and properly maintained curtains make our home healthy and beautiful.